Who We Are OHIO MINORITY SUPPLIER DEVELOPMENT COUNCIL The Ohio Minority Supplier Development Council (OMSDC) is a nonprofit corporate membership organization that advances business opportunities for its certified Asian, Black, Hispanic and Native American business enterprises and connects them to its corporate members. Since 1972, the OMSDC has worked diligently to grow value-driven partnerships between our certified MBEs and our Corporate Members.Â Our focus is to assist the development and maintenance of effective corporate supplier diversity programs. 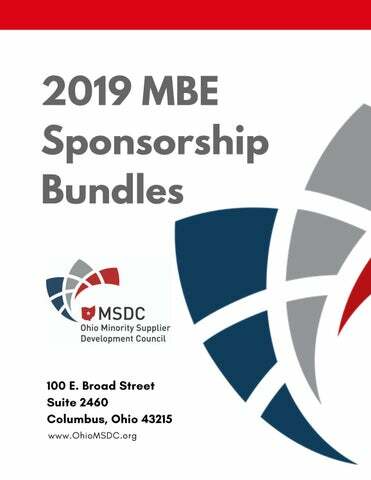 2019 MBE Sponsorship Bundles GAIN RECOGNITION AND STRENGTHEN BUSINESS RELATIONSHIPS Thank you for your interest in the sponsorship opportunities available to MBEs. Your continued support of the Council helps OMSDC fulfill its mission of creating access to business connections that count. immediately enhances the recognition your business receives, strengthens your company's visible presence through multiple avenues and provides a unique way to support the Council. Our Value To Minority Business Enterprises ACCESS TO CORPORATE AMERICA; VISIBILITY THROUGH SPONSORSHIP With the support of our MBE Sponsors, OMSDC is able to provide the programs and events designed to create opportunities for minority-owned businesses and corporations to build relationships. Through our initiatives, MBEs have access to Corporations that help to build strong, diverse supply chains. Your support as an Annual Sponsor also increases your company's visibility as an advocate of supplier diversity. OMSDC can assist you in customizing a package that will meet your corporate goals and objectives. 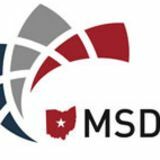 Please contact OMSDC Headquarters at (614) 225-6959 for more information.